It was reviewed by Sunday Metro before??? hmmm....so I guess the taste will be satisfying enough for me.. This mini stall captured my attention by it's rows of hot pancakes!!!!! hot and crispy skin, once munch in a bit of chewy of the pancake combined with the 3musketeers~hualala!!! 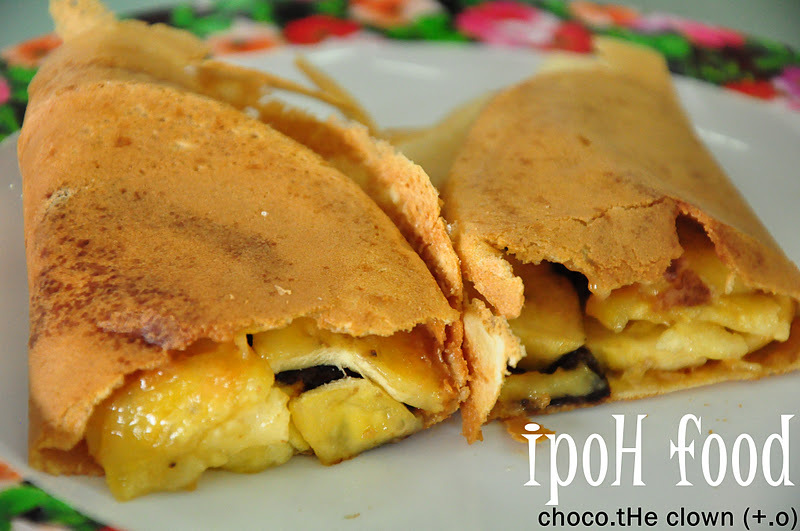 buttery taste and the thickness of filling kinda satisfying and most importantly chocolate melts in the hot crispy pancake!!!!! this is a must have guys!!!! happie searching with your GPS! OI!!! I LIKE I LIKE I LIKE!!!! WOOOO! NICE SHARING!! >.< i love the peanut butter and banana one!!!! eeekkk!!! so tempting!